Premium web hosting services offer consumers and businesses tremendous long-term benefits. They tend to be more stable and better able to handle higher levels of traffic. Also, virtual and dedicated servers aren't affected by traffic from other users. So if you have big plans for your blog, it's the right time to investigate the best premium web hosting options. Keep in mind that in most cases you don't have to start with a higher priced premium host. Most companies will let you start at a lower level and upgrade your hosting as your business and your website hosting needs grow. Let's take a look at 10 of the most popular premium web hosts. In addition to traditional shared and reseller hosting, Site5 offers premium services like Virtual Private Servers (VPS), Dedicated Servers, and Cloud Virtual Servers (CVS). Both VPS and CVC are a powerful way to run your online business. The beauty of cloud hosting is that it is scalable as your traffic grows. 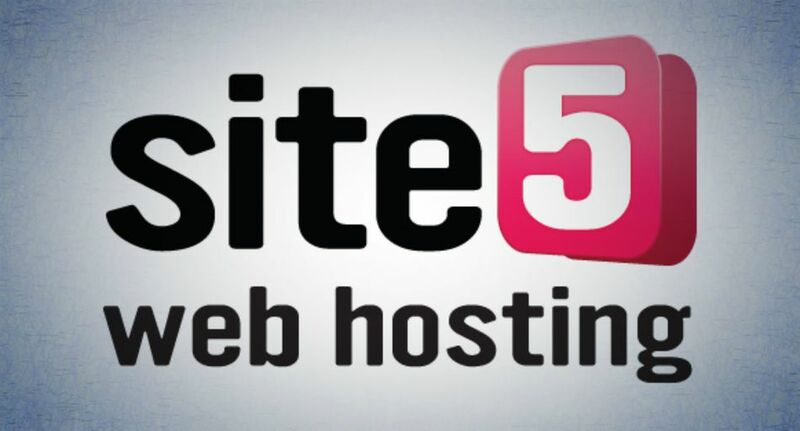 With Site5 you can easily grow your server capability. It offers a sliding price scale – starting at $55 per month – that has eleven (11) levels of server capabilities. In many cases once your move to a dedicated server level, you'll want to have a full-time tech person on hand to manage the dedicated server. Rackspace is a leader in premium web hosting and advertises itself as the largest managed cloud provider. Their pricing is primarily usage-based so it is harder to price their offers as accurately as other companies. Contact sales to discuss your needs and for accurate pricing. Their marketing is strong. They have branded their tech support as "Fanatical Support" and employ more than 3,000 cloud specialists and over 675 software specialists (Microsoft, Red Hat, Cisco, VMWare). The Rackspace infrastructure is so strong and stable that a number of smaller hosts use the Rackspace servers for their clients. Its Rapid Deploy dedicated server packages start at $469 per month. One of the benefits of Rackspace is that they do have entry-level plans that you can start with and then easily grow into their higher tier plans. HostGator is one of the best-known, web hosting companies in the world, having built its reputation through its entry-level shared hosting services. However, if you have hit a growth spike for your business and are receiving good traffic (i.e. 25,000 monthly visitors or more), the company offers various VPS and dedicated server solutions. HostGator's entry-level VPS solution, Snappy 1000, offers 1 Core processor, 1 GB RAM, 60 GB Disk Space, 1 TB Bandwidth, 2 IP addresses and the option of a fully managed server. Snappy 2000, Snappy 4000 and Snappy 8000 move you to 2 Core Processors and greater memory, bandwidth, and memory allocation. There are four (4) levels of dedicated server options, with both Linux and Windows servers. Unlimited domains, email accounts, FTP accounts, and MySQL databases. Fully managed hosting space (via cPanel or Plesk). Native English speaking technical support. VPS pricing (Snappy 1000) starts at $15.98 per month. Dedicated servers (Basic) start at $69.60 per month. Seasonal discounts up to 50% are common at HostGator. Though HostGator is a great website for entry level websites once you moved to the point of needing a virtual or dedicated server you may be better off looking at other services that focus only on higher level offerings. 1&1 is a large web host that offers powerful and scalable dedicated solutions. Servers data centers are located in the USA and are monitored 24/7. Its "No forced throttling" means that your data will always be available to your site visitors. Recall that some hosts intentionally slow down or even stop your website if you receive "too many visitors" at once. Another great feature of the 1and1.com managed hosting is that it offers both guaranteed and dynamic RAM. Having a guaranteed minimum amount of RAM assigned to your site is important for ensuring that your visitors will consistently be served regardless of site traffic volume. 4 Cores x 2.1 GHz. 2x 750 GB Web space. And many more added features. Pricing starts at $34.99 per month for Performance S (first 6 months; $69.99 monthly afterward) and goes up to $124.99 per month for Performance XL (first 3 months; $249.99 monthly afterward with optional 2x 240 GB Intel® SSD added to 2x 2000 GB SATA). Like many other premium providers, WebHostingBuzz also offers the full range of hosting - from shared to VPS to dedicated. If you aren't sure about your hosting needs, you might want to consider its VPS Level 1 hosting. Prices start at $14.95 per month and you can upgrade to VPS levels 2 through 7 as required. If you choose a dedicated server, you will actually get a physical server dedicated to managing just your site(s). Remember that both virtual and dedicated servers need to be managed. While some hosts include it in their monthly/annual fee, WebHostingBuzz charges it as an extra fee. Call ahead to confirm, but you should be able to bulk purchase technical help for about $50/month for up to 5 hours. As mentioned earlier once you move to a VPS or dedicated server so you'll need a tech person to handle that. The bulk tech support option here is a nice feature. Pricing starts at $119 monthly for dedicated servers. WebHostingBuzz offers 24/7 technical support via chat or helpdesk ticket and will call you back for urgent matters. If you have the budget, HostRocket offers several dedicated server solutions that let you stop worrying about bandwidth limits. The heavily promoted 32 GB INTEL E5-2620 solution offers 12 visible core processors, 32 GB memory, either 2x500 GB HDD or 2x120 GB SSD, 100 TB of bandwidth, 100 Mbit Uplink and a Free RAID 1. Get 24/7/365 tech support and a guaranteed uptime of 99.5%. HostRocket's current dedicated server solutions range from $119 to $169 monthly (32 GB INTEL E5-2620 is $129 per month). Various add-on services like cPanel and SSL certificates are extra, and custom server configurations are available upon request. Be sure when you're shopping premium web hosts what their costs and policies are regarding SSL certificates. This is an absolute requirement today and some web hosts will offer this free while others will charge very high prices. MyHosting are VPS specialists that offer many Linux and Windows virtual private server options. For businesses, virtual servers give you the necessary resources to handle large spikes in traffic. Like other companies, upgrading to more powerful solutions is easy. MyHosting just makes more resources available to your account and sites. Consider the promoted Plesk VPS for Business option (starting at $27.51 monthly). 40 GB Guaranteed Disk Space. 600 GB Bandwidth @ 100 Mbps*. *No throttling and burstable to 100 Mbps. Under 2 min Phone & 1 hr Email response. No throttling and burstable speeds is a key feature. May web hosts will actually shut down your website or slow it down significantly if you go past the regular threshold. This is a worst case scenario as periods of high traffic is when you need your hosting to work the most. IX Web Hosting offers several virtual private servers and dedicated hosting solutions. You can choose from either cPanel or Plesk control panels. CPanel is most common in the shared hosting niche and is used by both HostGator and Bluehost. It makes management of your site/server easy and trouble-free. The comparable Linux solutions are $15 cheaper. IX Web Hosting also offers a high-end cloud hosting. Their "white box" access gives you full root-level access to completely manage your server. Cloud hosting starts at $99.99 per month (chat with customer service for details). More and more web hosts are moving to cloud-based solutions giving you the most protection against your website going down during high periods of traffic. This is something you should be comparing across any premium website comparisons. Choice of Odin Pleak or cPanel control panels. It's dedicated options start at $2,000 per month, so unless you're about to crack the Fortune 1000, advancing through the VPS levels is probably the best bet here. VPS.net's focus is virtual private server solutions, specifically cloud-based hosting. The server is sold by nodes. As you add more nodes, CPU, RAM, diskspace and bandwidth all increase. Launch your server in minutes. A bare minimum VPS configuration starts at $15 per month, not accounting for seasonal discounts, prepaid annual fees, coupons etc. However, the company recommends a two node solution with unlimited bandwidth ($40 per month). A fair starting point may be the $30 plan, which includes two nodes (CPU cores), 1 GB RAM, 6 TB bandwidth, and a 20 GB disk drive. If you have a WordPress blog you may also be interested in a Managed WordPress Hosting plan.